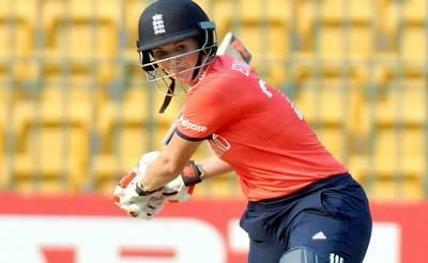 London, Sep 2: Former England women's cricket team captain Charlotte Edwards has announced her retirement from the professional game after leading Southern Vipers to a runners-up finish in the second Kia Super League (KSL). The 37-year-old Edwards had quit international cricket last year, after being removed from the England captaincy in the aftermath of the 2016 Women's World T20 exit in India. "I think I would like to play some county cricket but in terms of this competition and playing overseas this is it, my time is done and I want to pursue other things such as coaching and perhaps some media work," said Edwards, who now has taken up commentary roles. "I am happy and content with what I have achieved in my career, I have loved every minute of it." "I kind of knew at the start. It was made certain in the middle. My body has given up on me now," added England's most capped player. A veteran of 23 Tests, 191 One-day Internationals (ODI) and 95 T20Is in a career spanning 20 years, Edwards, however, continued to play domestically and lifted the inaugural KSL title in 2016. She also continued to feature in the Women's Big Bash League, representing Adelaide Strikers.